Jon Hinde Painting and Decorating started from a passion for painting and providing high-quality service. We pride ourselves on understanding what our clients want. Tell us your idea for the project, show us what do you want and talk us through the colors you have in mind. 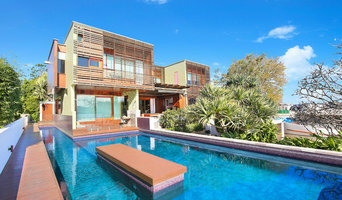 Luxury homes are our specialty at Jon Hinde Painting & Decoration. We know that when you invest in a luxury home, only experienced painters and high-quality decorating services will do. Our team is handpicked to make sure they have the experience and capability to get the job done to the highest standard and the best quality. Because we treat your home as if it were ours, we can guarantee that the finish will exceed your expectations. 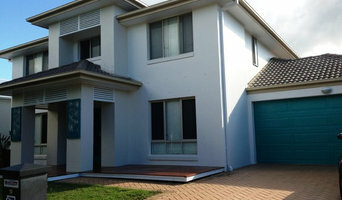 Prompt & professional residential & commercial painters servicing South East Queensland. 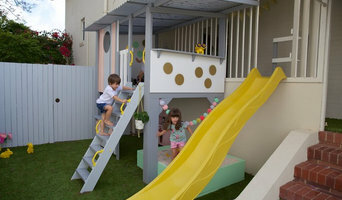 Darryl Hathway Painting & Decorating is a Brisbane-based Dulux Accredited painting company. We take pride in our preparation procedures as much as the painting itself. With a combined experience of over 30 years, we are very well equipped to handle any number of issues, from lead & old paint, to water damage & mould. From Prestige Luxury homes to Lead Removal and everything in between, Darryl Hathway Painting can bring your investment to new again with every aspect of painting. Commencing operations in its current form in 2009, Darryl Hathway Painting & Decorating has gone from strength to strength, with a steady flow of expansion from it's humble two-man beginnings. Now operating three branches; Townsville, Brisbane & a satellite branch in Sunshine Coast, Darryl Hathway Painting & Decorating are able to offer you superior service, right down the Queensland coast, From Cairns to Gold Coast. From quote to completion, Leogreen Painting & Decorating is committed to ensuring all work is completed promptly and professionally. As a member of Master Painters Australia with Dulux accreditation, you can feel confident that our company is based on quality, experience and integrity. Our team has over 17 years industry experience, working with reputable companies both in Australia and abroad. A tailored solution for each and every client… From decks to designer homes to small-scale developments, cottages to custom builds, wallpapers to wood stains. Leogreen Painting & Decorating has developed a best practice policy, ensuring each job is completed leaving a clean and safe environment. Wonder Wall is about creating a visual experience, exploring the colour, texture and luminosity of the hand crafted polished plaster finish that gives unique oscillating depths enveloping the viewers senses. I will help you create the wow factor by inspiring and guiding you in your exploration of what is possible for a unique ambiance in your space. I achieve this by working with the themes and styles you already have, with your vision, with what is in vogue or by creating an original piece just for you. Bakers & Co Painting and Decorating are a proud sixth generation painting firm with decades of combined experience in servicing Brisbane's painting needs. Whether it be a residential, commercial or industrial property, our team of painters have the knowledge and experience to ensure the successful completion of all our Brisbane painting projects. QPaint Pty Ltd - As a second generation Family of Painters with over 35 years experience in the Painting and Decorating Industry, servicing clients within the Brisbane, Gold Coast and Sunshine Coast areas. We have extensive knowledge of painting processes, continually learning the latest techniques and superior quality and customer service. 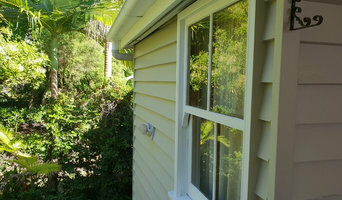 From Strata and Body Corporate painting to Residential painting, QPaint Pty Ltd - Painter Brisbane has the expertise to assist you with all your Painter requirements. Gavin Rowe has been painting for close to 25 years, both in Australia and England. The Brisbane Painter business was formed five years ago and now employs a permanent staff of 2 with experienced and trusted contractors helping the team when work demands or requires it. Gavin Rowe is a registered government contractor, a member of Master Painters Australia (2000913) and holds a QBSA license (63498). The business has grown to serve hundreds of clients in the local Brisbane area, many by referral from our previously satisfied clients. We love painting! We do everything we can to give our clients a stress free and delightful experience and to be thrilled with their property facelift. We are a design focused studio committed to creativity and innovation, Exclusive Wall Coverings can transform your home or commercial space with custom print digital wallpaper and graphic mosaic tiles that capture your imagination. With a highly skilled team of in-house designers and wallpaper installers, we have helped hotels transform regular rooms in alluring suites. Our service includes an in-depth consultation to help identify creative opportunities, resulting in various artwork concepts that depicts the desirable room ambience. We want to give you the time and guidance you deserve. Whether you have previously specified wall coverings or are new to it all, we can work with you to create the memorable experience that your valued guests desire. Baker Brothers Master Painters has extensive experience in all residential, commercial, body corporate and industrial painting requirements. We offer quality painting services throughout Brisbane and are committed to the highest quality standards in all our operations. Free Call. Free Quotations. Schier endlos scheinen die Möglichkeiten bei der Auswahl der Farben. Die Farbenhersteller unterscheiden zwischen Innenfarben und Fassadenfarben, doch daneben gibt es noch eine Hülle spezieller Grundierungen sowie Lacke und Lasuren. Neben Farben ist die Tapete der zeitlose Klassiker für die Wandgestaltung. So groß wie die Auswahl an Mustern, Motiven und Materialien ist ihr Einsatzort. Ob Kinderzimmer, Wohnzimmer oder Schlafzimmer – überall machen Tapeten eine gute Figur. 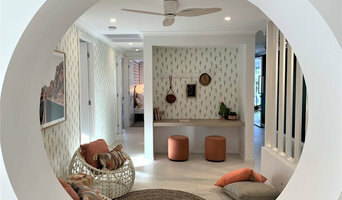 Bei Houzz finden Sie Ihren Tapetenhandel in Sandgate, QLD, AU sowie exklusive Tapetenhersteller mit einem Riesen-Sortiment an 3D-Tapeten, Fototapeten oder klassischen Wandtapeten. Fachgeschäfte und Showrooms beraten Sie vor Ort zur Auswahl der Tapetenmuster und berechnen, wie viele Tapetenrollen beim Tapezieren benötigt werden. Darüber hinaus finden Sie bei Houzz auch jede Menge Shops, um Farben und Tapeten online zu bestellen. Wandpaneele sind eine tolle Möglichkeit, um glatt verputzte Wände aufregender zu machen. Bei Houzz finden Sie zahlreiche Hersteller, die Ihnen helfen Ihnen die richtigen Wandbeläge in Sandgate, QLD, AU zu finden. Besonders beliebt sind Wandverkleidungen aus Holz oder Stein. In einem kahlen Wohnzimmer sorgen Holzpaneele oder Steinoptik für ein gemütliches und natürliches Ambiente. Entdecken Sie innovative Hersteller zu der Oberflächengestaltung und den Kosten für. Außerdem kann Ihnen Ihr Experte hilfreiche Tipps geben, welche Paneele zu Ihren Wänden passen. Oft vermitteln die Hersteller Experten, die Sie mit dem Anbringen der Wandverkleidung beauftragen können – ihre Wände erstrahlen dann im Handumdrehen in einem neuen Glanz. Suchen Sie auf der Seite mit allen Experten gezielt nach einem Fachgeschäft für Farben oder einem Tapetenfachhandel in Sandgate, QLD, AU. Um die besten Händler und Adressen zu finden, können Sie den Radius in der Umkreissuche verfeinern. Durchstöbern Sie die Profile der Hersteller und Unternehmen und speichern Sie inspirierende Beispiele in einem Ideenbuch. Lesen Sie die Bewertungen und Empfehlungen anderer Kunden, bevor Sie einen Experten kontaktieren.